House shopping 101: Do you know what you don’t know about antique houses? Ask me! There are many questions to ask about antique homes. I have selected the first five below, partly because you may not be able to determine these visually on your first visit to the home, and because related costs can be high. Has the main water line to the house from the street been upgraded? Has the sewer line from the house to the street been replaced or upgraded? Is the foundation poured concrete or concrete block or other? Have any foundation drainage or dampproofing upgrades been made on the foundation? 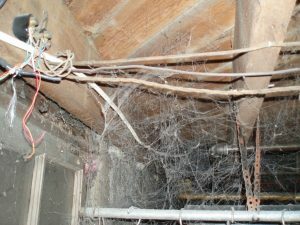 Is the electrical wiring a three-wire grounded system?